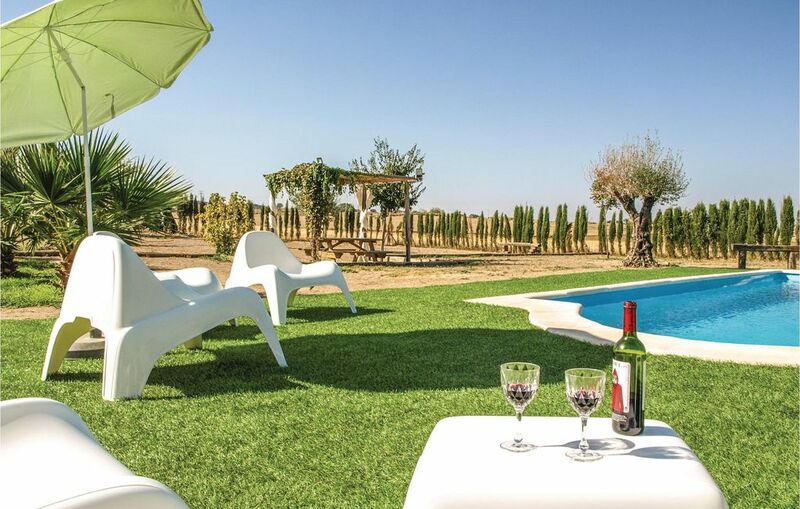 This beautiful holiday home in the "Comarca de los Pedroches" invites you to relax in the pool and spend cozy barbecues. The living area on the 1st floor offers special privacy and a charming atmosphere. The house has enough space for 10 people and you can spend here with the whole family a holiday in the beautiful Andalusia, where you can enjoy activities such as hiking or mountain biking, a tour through the villages of Los Pedroches or the beautiful city of Córdoba , in less than an hour, you can visit. On the same property is the house EAC232.